Brass instruments are not the easiest musical instruments to master but once you do, they present a world of fun and excitement to the player. So, if brass instruments are considered pretty challenging, what would be the best age to start playing brass instruments? Well, that is precisely what this article is going to cover. 6-10 years old is the best age to start playing brass instruments. Generally, the sooner you can start the better. Up to a point, of course, since brass instruments are pretty physical demanding to play. Everyone matures and develops differently and this makes giving an exact number impossible. But let’s take a look at the different brass instruments and see which one would be best suitable for what age. So what instruments are in the brass family ? Where are the brass instruments used and why you should I play one? Brass instruments are wonderful musical instruments. 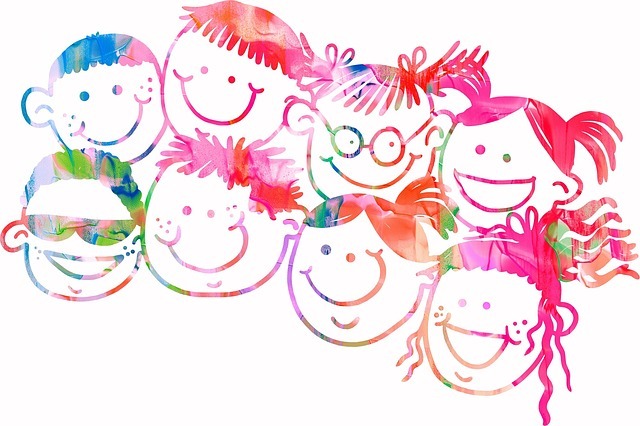 They can be used in almost every form of music, from the softest gentle lullaby, to the most powerful, festive fanfare and other very “energetic” music. The dynamic range of the brass family trumps all other acoustical instruments and they can easily be played so loudly that they break glass. Yet, it’s not that difficult at all to play softly as a whisper on a trumpet, for example. This is one reasone why the possibilities for creating exciting and expressive music, for brass players, are almost endless. 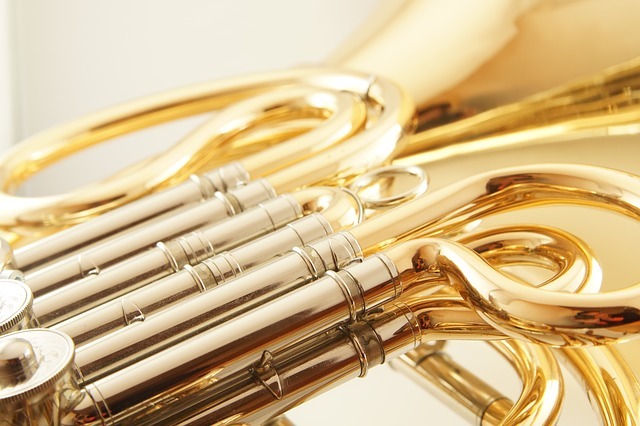 Which of the brass instruments are easiest to play? The difference between the brass instruments are not that big. They are all played by forming an embouchure and by buzzing the lips. I would recommend, to someone that would like to start playing a brass instrument, not to focus on what’s easiest but instead go for the brass instrument that you think is the most interesting and sounds “best” to you. That said, there are few things you should consider before choosing a brass instrument for you or your kids. What is the best age to start playing the trumpet? So how old to start playing trumpet? What is the best age to start trumpet lessons? …to avoid this problem one option is to start out with the cornet, instead of the trumpet. Should my kid start on the cornet instead of the trumpet? The cornet is very similar to the trumpet. It is tuned the same and we use the same embouchure and playing mechanism to play it, as we do when we play the trumpet. The difference is that the cornet has a softer sound, is physically shorter and easier to hold. You hold it closer to your head, which makes it feel less heavy, because your arms is not so far out from your body. You can read a lot more about this in the article “Cornet vs. Trumpet, what’s the difference?”. …don’t worry, it is easy to transition from the cornet to the trumpet, later on, if wanting to pursue a trumpet career. Or play both instruments. Normal sized 7-10 year olds should not have that big problems with starting out on the trumpet though, as there is no need to hold the trumpet up for a long period of time in the beginning. We play for a few seconds and then rest for a few seconds. The normal sized young student will probably not have any problems with the weight of the trumpet. If you are wondering what trumpet to get for your kid, then read the article good beginner trumpet for 8-10 year old kids. Don’t worry about the 8-10 year old title so much though, as the answer to the question “what is a suitable age to start taking trumpet lessons? already was stated to be 6-10 years old, depending a bit on the size of the kid. What brass instrument should my kid start on? …and by struggling, I’m talking about the trumpeters feeling that they do not have enough endurance to be able to play what they want and also, in some cases, to play in the trumpets higher register. NOTE: just because many trumpeters are going to struggle with endurance and high register playing, at some point in their life, this should not be something that scares young kids away from the instrument. It is just a part of playing the trumpet and, rather than to get frustrated about it, I encourage people to look at it as a part of being a trumpeter…. …It’s challenging but there is a charm within that. I’m not at all writing it as to stop someone from taking up the trumpet, rather because it’s important to know that it is normal to “get tired in the lips” when playing the smaller brass instruments, and that that’s OK. 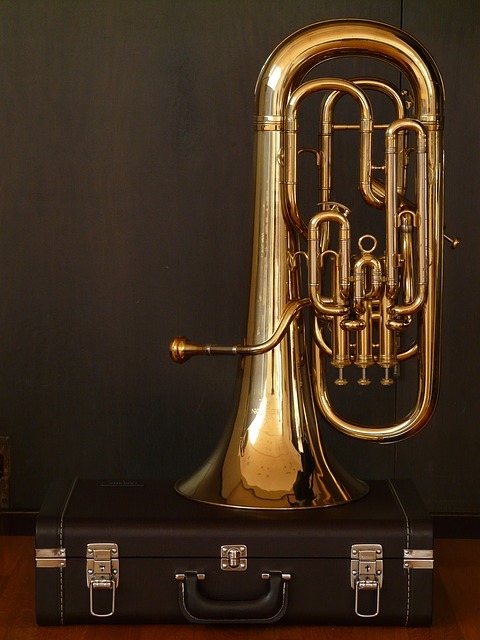 Even though the bigger brass instruments also requires some strength, they are not as challenging to master when it comes to the endurance and high register aspect. However, they do need more air and, becasue of that, playing a big tuba can be physically challenging for people with small lungs. Putting a big tuba in front of, a very small, 6 year old kid is not the best choice. The bigger 10 year old kid will be better suitable for the tuba. Some teachers recommend starting on a smaller horn first and then transitioning to the big tuba at around 13 years of age. So if the 6 year old kid wants play some of the bigger brass instruments then why not try the horn first? Which one of all the brass instruments are hardest to play? So which one of all the brass instruments are the most difficult to play? There are so many factors to consider and I don’t think it’s really fair, or a good thing, to put musical instruments against each other like that. However, that is a boring answer and this is something that many people asks and wants to know, so I will try my best to give a more “interesting” answer. …this why we often hear the French horn make “mistakes” in the symphony orchestra. I do not envy them at all because it’s not an easy job. In fact they have a very difficult job. It is an important and wonderful musical instrument however and if there were no horns, the symphony orchestra would not be the same. They would be like a hand without one of the fingers. Just like the other brass instruments, the French horn can be very colorful and this is something that composers takes advantage of as their part in the symphony orchestra often sticks out as amazingly gorgeous. Of course the French horn also have their part in wind orchestras and other bands but, unlike the trumpet, they are usually not found in big bands or horn sections in pop orchestras, jazz groups and so on. There are exceptions to this but it’s fair to say that their biggest role are in symphony orchestras, wind orchestras as well as chamber groups like, for example, a brass quintet. The trombone does not have three or four valves like the rest of the brass instruments. This makes it a bit harder to play very fast and technical passages compared to the cornet, for example. Don’t get me wrong, it is possible to play incredible difficult music with the trombone. The quarter valve, which the trombone player controls with his thumb, helps with this, however, the agility will always be better on the smaller brass instruments. You will find the trombone in many different bands and their role in music are almost as versatile and common as the trumpet, with the exception that the trumpet player will perhaps more often get asked to play a solo on funerals, weddings, for example. The trombone are found in big bands, brass sections, pop, jazz, blues, soul bands, brass bands etc. If you choose a career as a trombonist, you will almost always have a place to perform and do your job if you are proactive. For some reason the cornet is not really as popular as the trumpet. The symphony orchestra, for example, mostly uses trumpets instead of cornets. There are exceptions to this, but for the most part it is the trumpet that dominates the classical orchestra literature. The same is true with jazz, and horn sections in pop music. Again you will find exceptions but the trumpet is more common. One exception to this is the English Brass Band concept. In a traditional brass band no trumpets are allowed as the cornet is used instead. The French horn are also forbidden in the brass band. This gives the brass band a soft and very characteristic sound. …and if you are a cornet player you can’t ignore the trumpet. And most of the time a trumpet player is also a cornet player and vice versa. You can find the tuba in all the same places as the trombone and the trumpet, albeit not as often. There are brass sections in pop orchestras that also uses the tuba, in some of their arrangements, but is is not that common. Likewise some big band tunes does make use of the tuba but most of the time, big band pieces do not have a tuba part. The tubas are an important part of the brass family however and they are often a part of the “rhythm section” in traditional bands, like the brass septet, brass sextet and so on. Even though they often have to (or get to, depending on the view) play the part of the rhythm and base section, they are of course also used in all kinds of lyric and melodic parts and the tuba player can indeed have an interesting job. 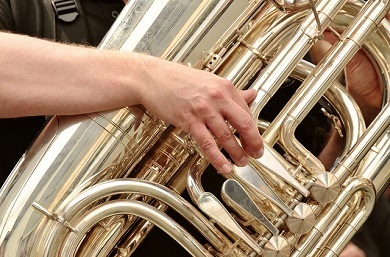 Some of the difficulties in playing tuba involves the use of the air. As this post is named “what is the best age to start playing brass instruments?” I can mention that the tuba is not something you start on if you are 6 years ol and very small for your age. Particularly the lowest notes on the tuba takes A LOT of air and it can sometimes be difficult to get those note to “speak” when they should. In particular if they are incorporated in a fast melody line, for example. Of all the musical instruments in the brass family it is safe to say that the trumpet is the most “popular” and the one that most people play. Sadly the the trumpet is still nowhere near as popular, for kids to start playing, as for example the guitar, or the piano. Those musical instruments have always been more popular. Let’s hope that trend will turn around someday. 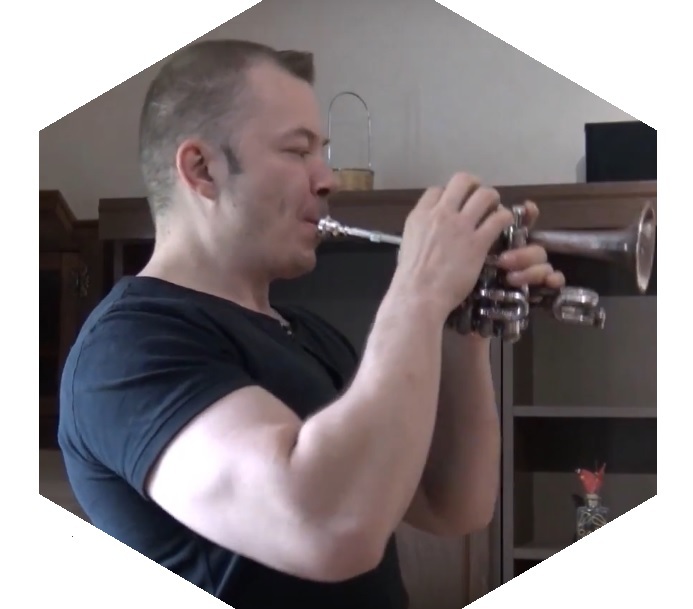 …as I mentioned in the beginning of this post, the high register of the trumpet is also one of the most difficult things to master on the instrument. That and building the endurance needed to play for long periods of time. …you are almost guaranteed to have an exciting life! So what is a suitable age to start taking trumpet lessons? 6-10 years old, in my opinion. Even though the high register is difficult to master that is NOT something the beginner should worry about, as we do never start working on that within the first couple of years. If you found this post by searching “best age to start playing trumpet”, “best age to start taking trumpet lessons” or “what is the best age to start playing brass instruments?” I hope you now are, at least, somewhat wiser. best trumpets for beginners as I’m sure it would be helpful.